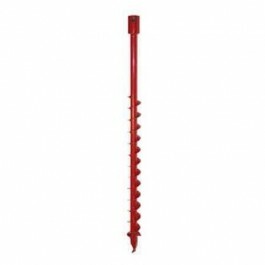 The E43 Earth Auger's solid steel heat treated alloy gears provide maximum power with little maintenance. The handles are coated with a high tech anti-vibration foam to provide comfortable handling. 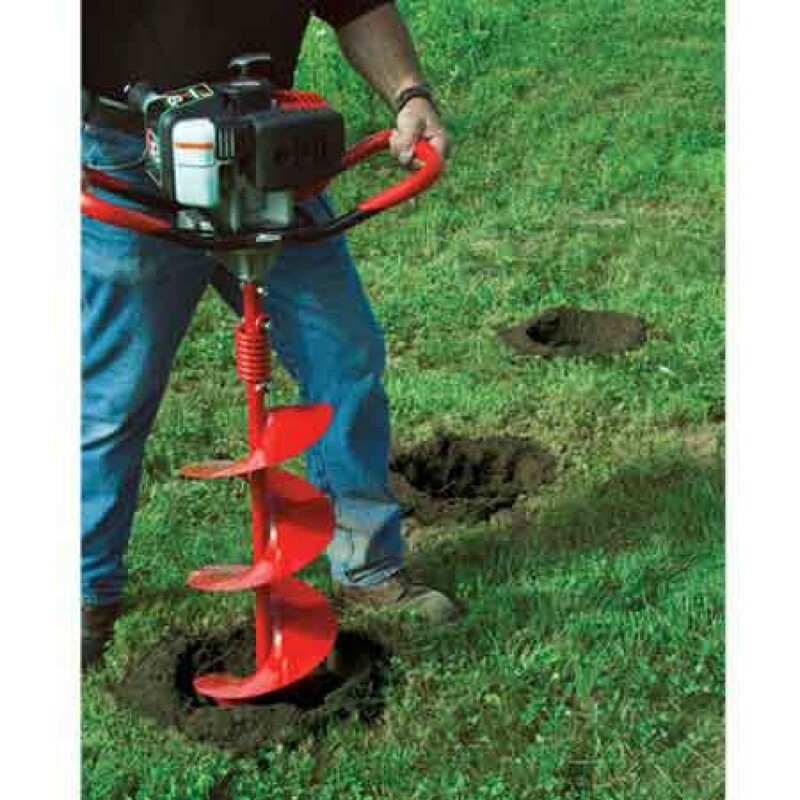 With its compact design, yet powerful output, this one man earth auger powerhead takes the work out of hard digging. Whether it's a deck, fencing, planting trees or installing a mailbox you are sure to find a multiple uses around your property for the E43 from Earthquake. The Viper engine on the E43 starts with ease thanks to a direct inject primer and choke system. The wrap around foam grip anti-vibration handlebars provide additional comfort when drilling. One of the defining features on all Earthquake powerheads is the heavy duty transmission that uses five ball bearings, giving your powered earth auger the ability to stand up to the toughest soils. 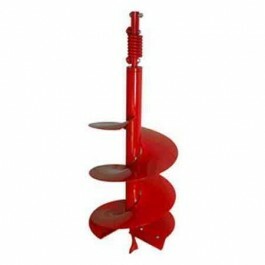 Auger are available in 2", 3", 4", 6", 8", and 10" diameters and are ordered separately. 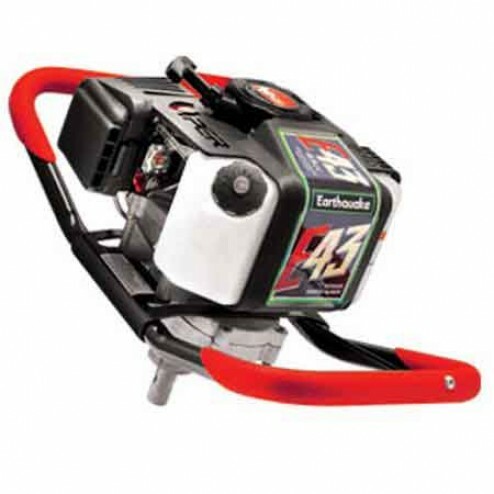 The E43 powerhead from Earthquake, the worlds best selling earth auger powerhead.